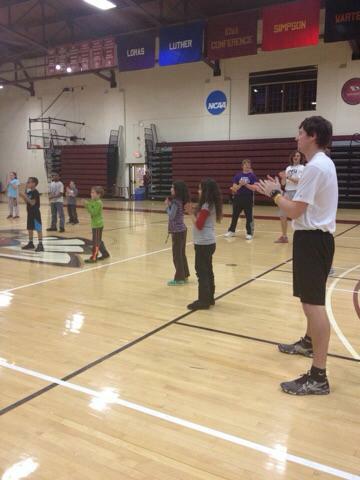 This fall, several Coe College students have been volunteering with members from the Polk Unit at Boys and Girls Club (B&GC) and providing a number activities for B&GC members after school. These students have been absolutely wonderful and fun to work with! One wonderful addition to Polk has been an ICAP worker, Sarah, who works 12 hours a week and is in charge of the Homework Club at Polk as well as coordinating all of the tutors from Coe College that visit throughout the week with the B&CG kiddos. B&GC members have also had the chance to go to Coe and participate in a gym class instructed by Physical Education students at Coe. One of the major highlights for B&GC kiddos was from October 30th when B&GC members went to Coe for a night of science with various science experiments. We cannot wait to see what our Coe volunteers and members will be up to in the Winter trimester! Coe College volunteers at Polk Unit B&GC! So much fun! The answer: In more ways than one. YouthPort is a collaborative partnership that is working towards the same goal: assisting families receive access to needed, quality services through our innovative referral process within our partnership. This means that as part of one agency, individuals can have direct access to services at one of the other two partnership agencies should the need arise. Therefore, these delightful and generous volunteers from Coe College are not simply impacting the kiddos at the Polk Unit, but they are enhancing the safety net that Polk Unit members have to expanded services through YouthPort! How cool is that?